Indian Tent we are providing a verity types of tent works, looks good and basically of traditional features. Indian tent is a basically traditional background, one good thing about Indian Tent that is totally looks in traditionally. Swiss Cottage Tent it can be arranged anywhere even then rough areas too, the good part is that consist the rainy weathers, side of accommodation part is good we can use for feel good for stay living outside area foe short term after arrange it. Exotic Swiss Cottage Tent:- Exotic Swiss cottage Tent is a easy to create any surface, internal pattern is very updated and arranged like living, its outer look is so comfortably created. 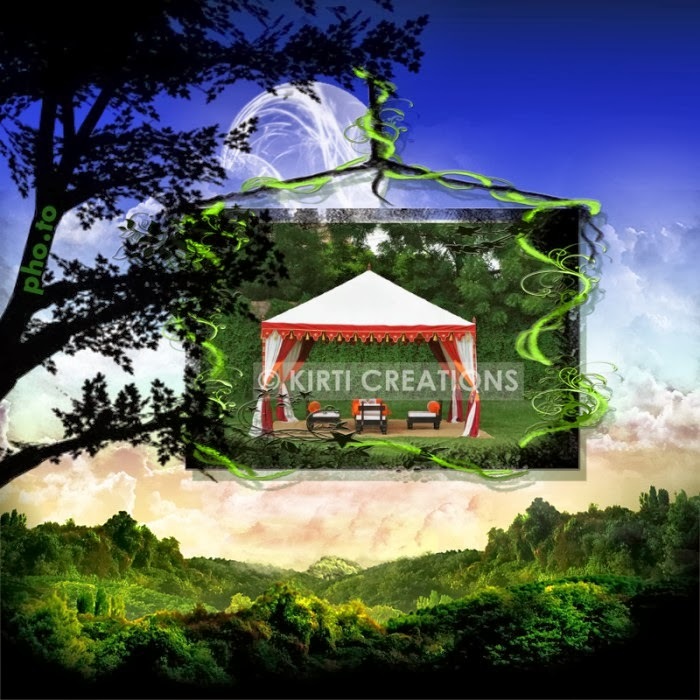 · Indian Tent is based by like a traditional background. Indian Tent have waterproof curtain which made from high quality of material for people enjoy during rough weather conditions and enjoy view of outside tent. IndianTent is decorate by attractive accessories which stitched on these artistic pattern. Indian Tent is best tent and stunning tent.